Thank you to all or our 2016 Alysheep breeding stock customers! We were so happy to have such excellent ewe lambs and ram lambs available, and enjoyed being able to see them go to so many great people. We saw quite a few first time producers this year, and it’s great to see new enthusiasm and fresh ideas coming to the lamb industry. All the best to everyone who purchased breeding stock from us this year. We wish you all the best with your new flocks! 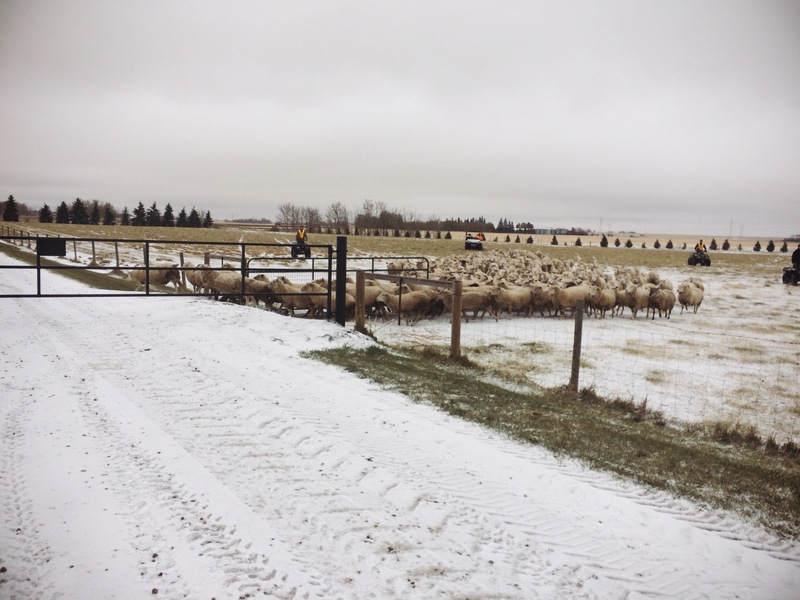 We’ve been pleased to see lamb prices stay high this fall and it looks like there is lots of promise for 2017. We’ve had a number of people contact us looking for breeding stock, and we are beginning to compile a list of those interested in buying ewe lambs in 2017. 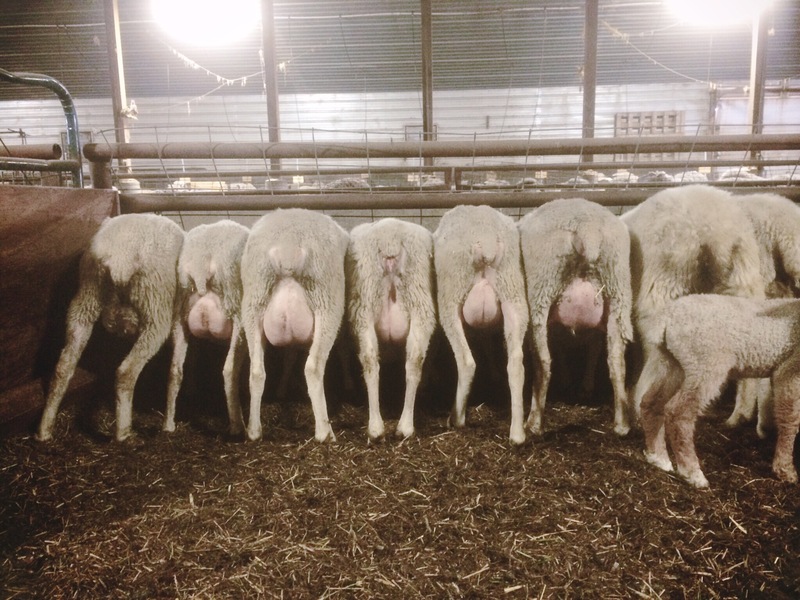 If you are interested, please send us a message and we will add you to the list to be notified when our next ewe lambs become available. These are the 50 best ewe lambs from our March/April 2016 lambing. If you are looking for the right genetics to make your flock profitable, you’ve found them. Visit our Breeding Stock page for more info. 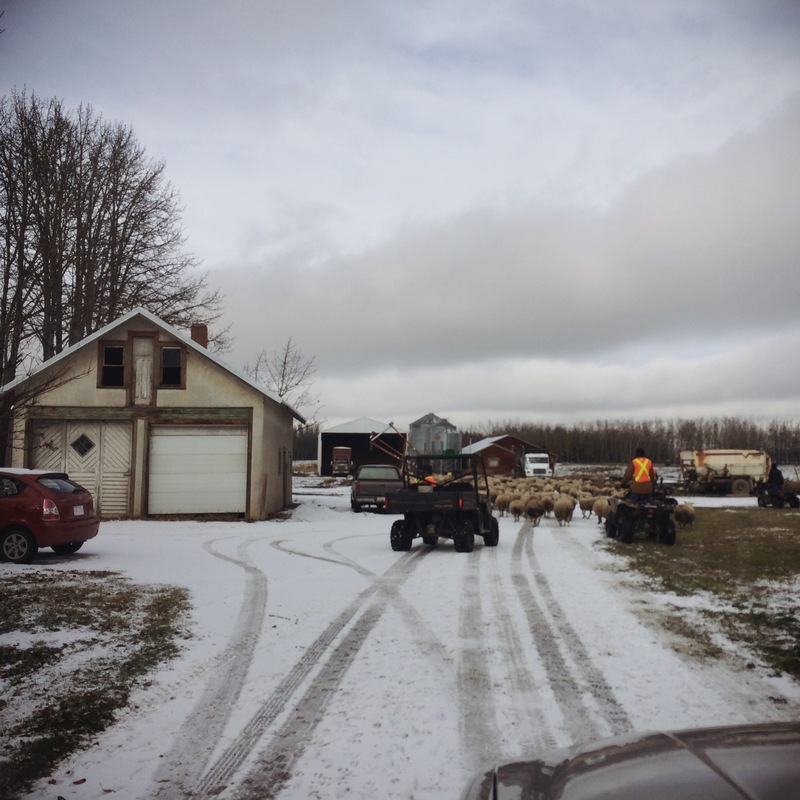 I wanted to share some pictures from running the ewes home last week. 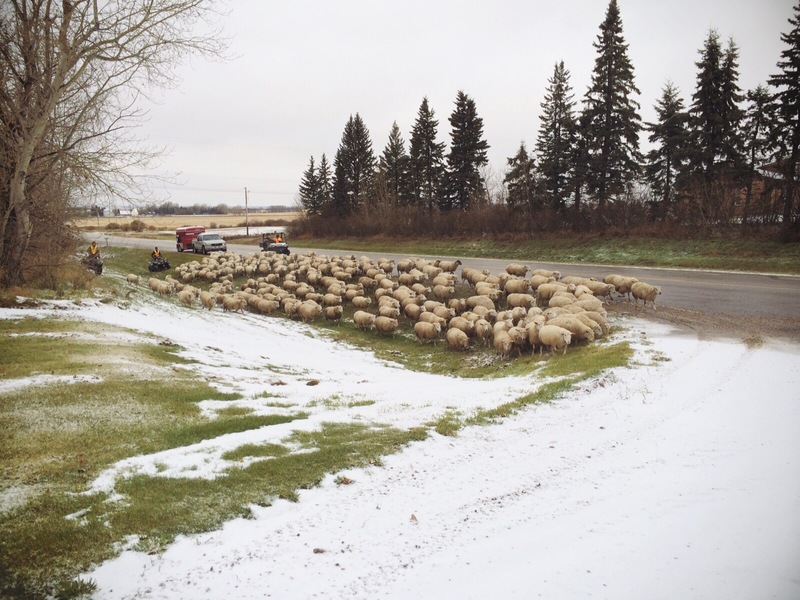 We had 250 ewes grazing a few miles down the road at Alyssa’s parent’s farm this summer. 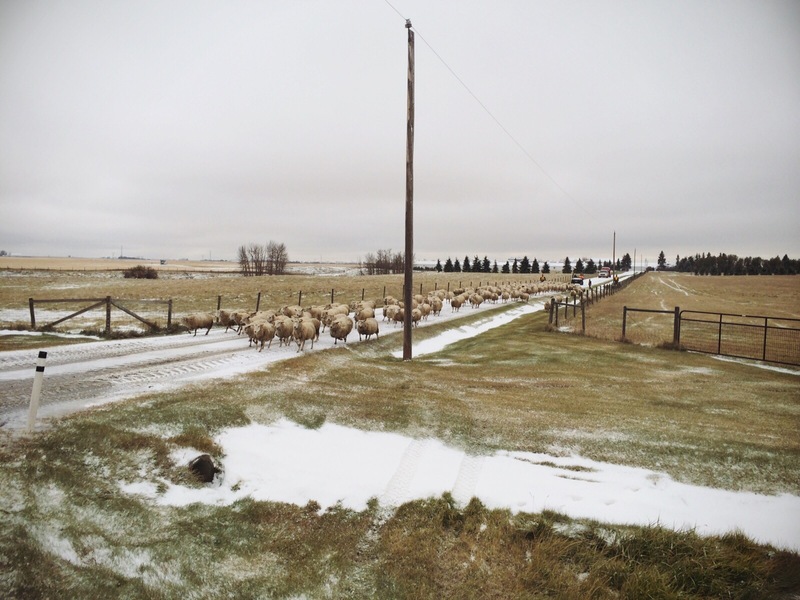 Since we only have a 16′ trailer, hauling 250 ewes home ends up being an all day job for a couple guys. The crops were off all along the highway, so we knew we wouldn’t risk damaging any crops by running the ewes down the ditch. We had two hired hands as well as myself on quads while Alyssa’s dad drive the side-by-side. Alyssa followed behind with the truck and trailer to help make us more visible, and also to transport any ewes that tired out along the way. All in all it went really well. Our road is fairly busy so we had to be pretty cautious. 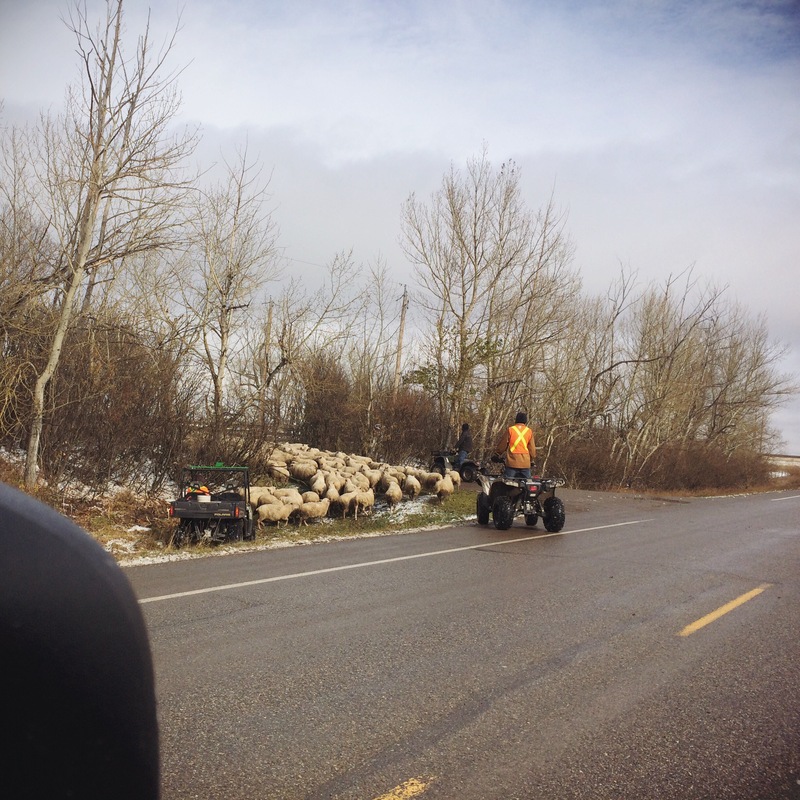 There were a few times the sheep wanted to start crossing the road, and we had to quickly move them off. The hardest part was actually going past one of our neighbours places on the opposite side of the road when their hound started baying at our sheep. The ewes were really curious about the noise and started trying to cross the road all at the same time. Thankfully the dog was fenced in. Otherwise that could have gotten really interesting. Thankfully all of us and all the sheep made it home safely. Only one ewe with a sore leg tired out and had to be lifted into the stock trailer. If it works out again in the future I think this is the way we will move ewes to and from pasture. It saves a lot of time, and it’s a lot more fun! I was walking pens today and I could not resist taking this shot. I have to admit Rideau ewes are amazing. Obviously we have some lambs on the ground now. I am going to try posting some highlights from lambing in the next while.